Whatever you are looking for, we are here to help from designing and supplying your kitchen to offering a complete service of designing, supplying and installing your kitchen. Our all-encompassing service includes kitchen design, supply and installation; carpentry, plumbing, electrics, tiling, plastering and decoration. At Sanctuary, our customers have a dedicated team member throughout their kitchen installation, removing project management worries – they have a passion to deliver your vision. 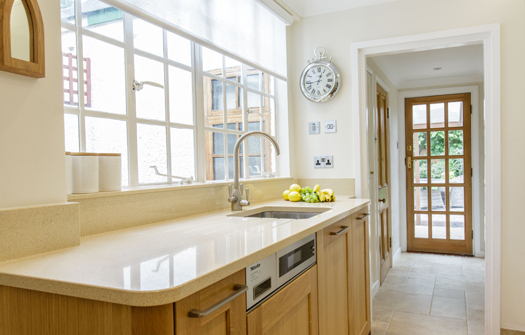 Our complete kitchen installation service is carried out by our multi-skilled and qualified team to deliver faultless workmanship – we look after you throughout the whole process. Alternatively, we can work with your builder to provide you with a furniture only installation, whereby your appointed builder project manages and prepares the room ready for us to install your new kitchen. From the agreed installation date our team will install everything as quickly as possible to deliver a kitchen designed around you. For design and deliver customers who require design and supply only we will design the new room layout and supply all the furniture, worktops and appliances needed ready for you or your builder to install everything. Including coordinating delivery times and providing support with product specifications and installation guidance. Sanctuary Kitchens and Bathrooms deliver quality products that you will give you years of enjoyment in your home either expertly fitted by our own installers or by your chosen builder. 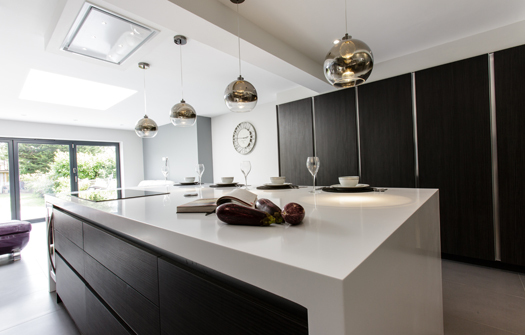 Contact us today on 01932 255465 or visit our kitchen showroom to begin your kitchen journey. Overseen by founder Daniel Hyde our highly qualified and experienced installation team are a key part of our kitchen team. They ensure our kitchens are installed to the highest standards, project managing every element, attention to detail and regularly liaising with our customers – delivering a kitchen beyond your expectations. Contact us on 01932 255465 to arrange a no obligation consultation with one of our designers.